This Halo Chrome LED Pendant Light with Clear Crystal Decoration looks stunning hanging on contemporary ceiling. 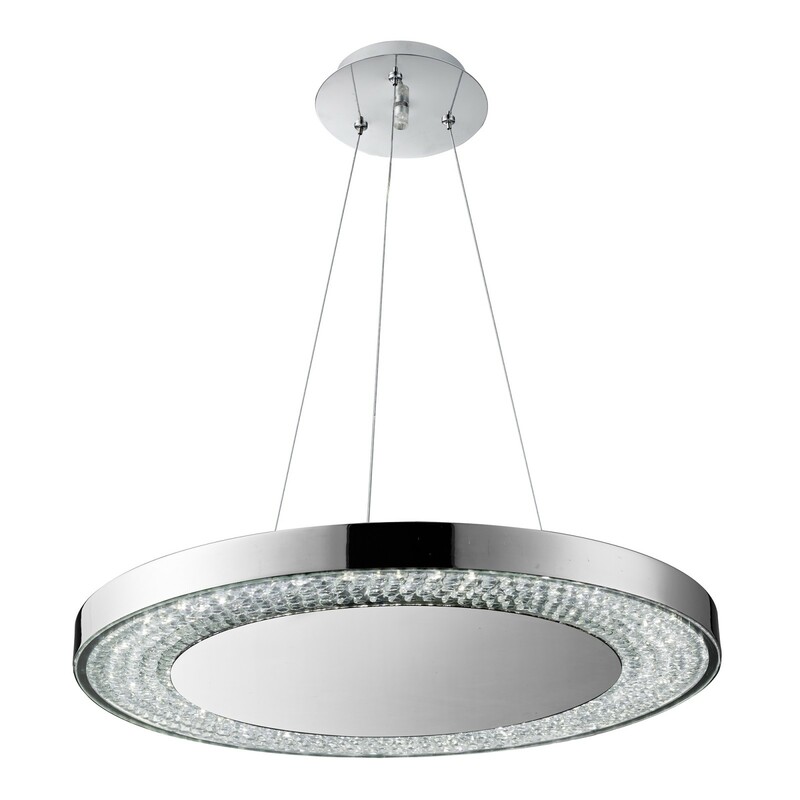 The underside of the wide chrome finish halo is adorned with clear crystal decor and is lit by 80 LEDs using the latest energy saving LED technology. 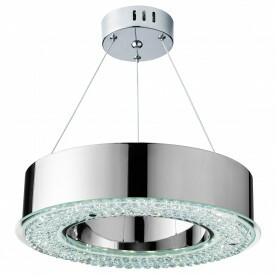 And it brings a touch of elegance to any room in your home.